The publishing industry has been undergoing radical transformations like never before. Frequent disruptions have given way to exciting innovations and publishers are responding to new opportunities this digital age demands. We at Integra understand the current environment. With our publishing services experts present onshore and offshore, and being uniquely positioned to offer end-to-end services – content development to content production to digital media, we are looking to partner with publishers across the globe helping them to be future-ready. We are exhibiting at BEA 2013 and will be keen to meet you. 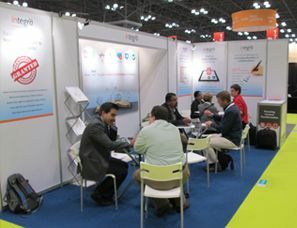 BookExpo America (BEA) combines the largest selection of English language titles on the planet with special industry and author events along with unparalleled educational content delivering a dynamic environment for networking, sourcing, and relationship building.